Last month, OnePlus formalized its software maintenance schedule. Like Google, the company promised customers two years of Android OS version upgrades, followed by an additional year of security maintenance updates. This new schedule applied to hardware starting immediately, which most of us had assumed meant that the last version of Android the OnePlus 3 and 3T would see was Android O via either 8.0 or 8.1. 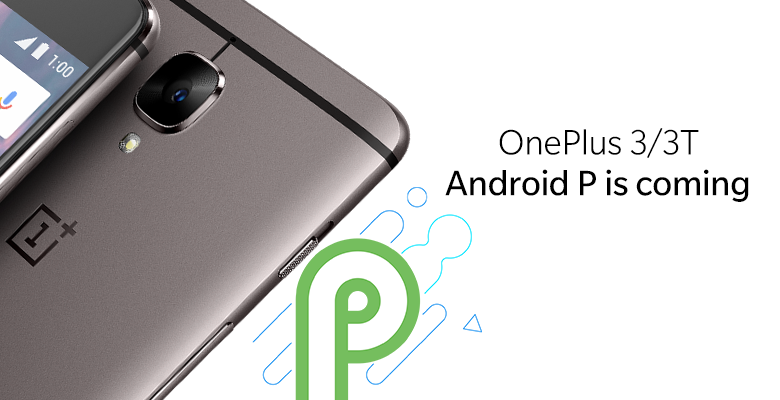 Well, earlier today OnePlus promised owners of the 3 and 3T the unexpected: Both phones will be getting Android P, but at a cost. The hidden fee in this arrangement is the loss of an Android 8.1 update. The two phones will be going straight from 8.0 to P to better utilize development resources, and they're also being placed at the lowest priority, with the order of update availability falling numerically. OnePlus 6 -> OnePlus 5/5T -> OnePlus 3/3T. Those waiting for OxygenOS 5.1.X might be a bit disappointed, but most of us still holding onto a OnePlus 3 had probably given up hope on seeing Android P without a third-party ROM. If Android P is a possibility, both the wait and the loss of an intermediary update should be worth it. More info is expected in the coming months.